Thousands of pedestrians are injured or killed in traffic accidents each year. 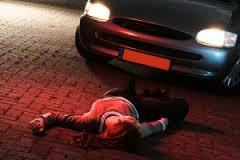 Injuries suffered from these types of accidents can be severe and life altering. Our firm’s goal is to make sure you do not suffer financially from your injuries and that you recover all that you are entitled to receive under the law. If you are a pedestrian and injured in a traffic accident, we look forward to helping you.